As the days become shorter and the cool air moves in, we realize as Canadians that the inevitable is soon upon us. Yes, I'm talking about sub-zero temperatures, bone-chilling winds and for most of us, that means the white stuff will start to fall. Although winter is not my favourite season, I must admit for a few weeks it's quite enjoyable. That crisp quietness that comes with first fresh blanket of snow is always peaceful to me. As someone who loves to be active, I even become excited about getting into some great winter activities like skiing and snowshoeing. If you're anything like me however; as the weeks drag on and the temperatures drop further, I get tired of bundling up and immediately start thinking of where my next winter escape destination will be. This year, I've done my research early. I recently had the opportunity to visit and experience the beautiful island of Saint Lucia. Although my visit was pre-winter and had nothing to do with escaping the cold, something happened to me that will always draw me back to this paradise island. As a fitness expert and travel enthusiast, Saint Lucia has been at the top of my list of places to visit for active exploration. From the moment I looked out the window of the plane as we descended to the runway, I was presented with a breathtaking view of what the next 5 days would consist of. Here's a touch of my experience and a few key suggestions that I believe are must-see's and must-do's a recommended escape to this sanctuary of paradise. The purpose of my trip as a guest was to experience the beauty of the island. If you're looking for the all-inclusive resort party scene, you won't find suggestions from me here. If you're looking to be active in nature's paradise, to take in breathtaking views, and experience local culture and tantalizing foods then read on. My itinerary had me split up my time between the north and south of the island and experience a few very different resorts. I spent the first couple nights on the north-western coast at Capella Resort tucked within Marigot Bay, a calm little inlet from the Caribbean Sea. Here I was told that this bay is one of the safest places on the island when it comes to seasonal storms; this is an area where many dock their yachts for months without worry. Marigot Bay felt like its own beautiful remote village tucked away within the bay and surrounded by hills and lush forest. Capella Resort, boasting best-in-service, modern suites and butler service for all guests, did not come short of its promise. Aside from my morning hill runs (portions of which involved necessary walking), one of my memorable experiences was a day trip from Capella that started on horseback through expansive banana plantations and literally ending up in the Caribbean Sea (yes, I actually rode the horse in the sea). After departing from the horses our group hit the kayaks paddling through a meandering river surrounded by lush greenery and then eventually back to Capella Resort in Marigot Bay. That evening we had a delightful dinner at the Rum Cave. If you like fine wine and sampling some the best rums the Caribbean has to offer - this is a must. I wasn't sure my experience could get that much better; then we headed to the south of the island to an region called Soufriere. Arriving by boat we were instantly greeted by friendly smiles, eager to help and tell us about the best places to explore. If you know anything about Saint Lucia's landscape, you may have heard of the Pitons. Let me just tell you that pictures don't do them justice - to be greeted by these two enormous volcanic mountains literally takes your breath away. 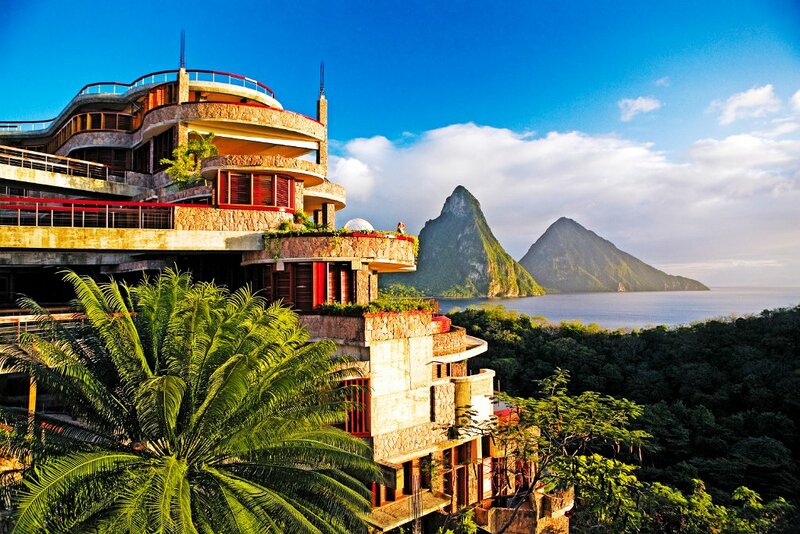 Then we experienced Jade Mountain Resort, an ultra-luxury resort known for its organic architecture, exquisite guest experience and alluring suites with infinity pools and only three walls. The fourth wall is literally open to the majestic view of the Pitons. I'm certain that most guests literally do not leave their rooms! The rest of my time I called Stonefield Estate Resort my luxury home base; a hillside resort of 16 secluded villas, each with their own private plunge pool and captivating views of the Pitons. For food, Mango Tree Restaurant right on site does just fine with traditional Saint Lucian breakfasts like salt fish to the fresh catch of the day at dinner - all of course overlooking the breathtaking Caribbean sea. Here are are a few additional places to go and activities to consider while staying in Soufriere. 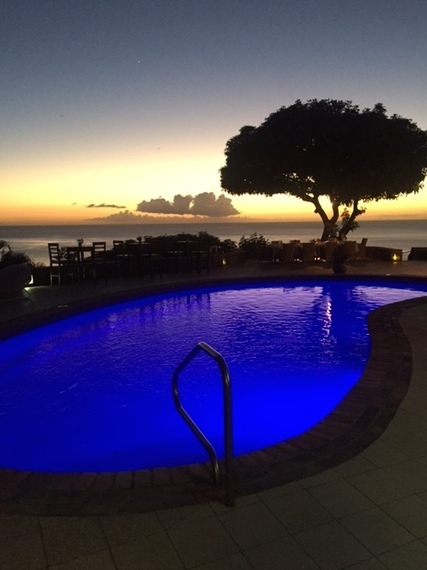 Ti Kaye Resort and Spa - stop in for snorkelling and a picturesque hill top spa experience overlooking the bright blue Caribbean Sea. Tet Paul Nature Trail - this easy-to-moderate 45 minute hike will give you breathtaking views of the Pitons and lush tropical forests of Saint Lucia. Hike the Pitons - if you're feeling a little adventurous and energetic you can arrange a hiking tour up the Pitons. Gros Piton, although it's the larger of the two it is more commonly hiked; it's challenging but quite possible and not as steep as it's gruelling neighbour. If you're in for a real challenge, try hiking Petit Piton (yes, you will be using ropes for part of the hike), often people descend prematurely before reaching the summit. Diamond Falls and Botanical Gardens - The waterfall is known as the most colorful waterfall in the Caribbean because of the mineral-laced water. Take a walk through these lush botanical gardens and witness the colours and sweet aromas of local plants and flowers. Sulfur Springs - The Volcano and Sulphur Springs called the world's only "drive-through volcano," takes you within steps from the site to experience one of nature's true wonders. Additionally, there are pools of naturally healing muddy sulfur and mineral baths which is a very unique experience. 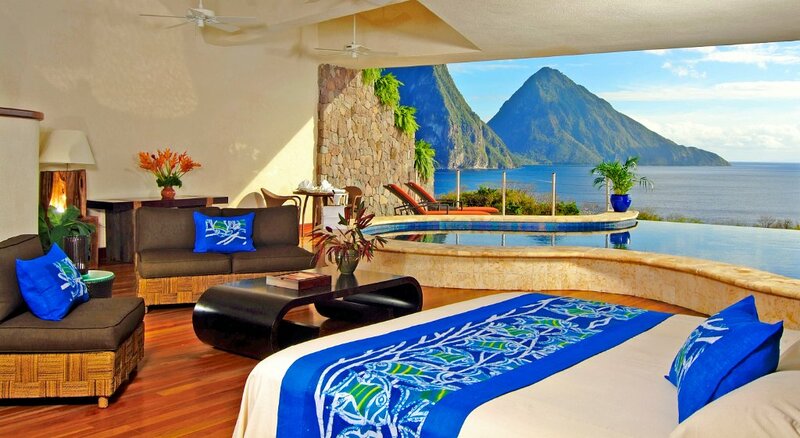 Sugar Beach Resort is a luxury resort located in the majestic valley of the Pitons. Overlooking Pitons Bay, the upscale resort is surrounded by Saint Lucia's tropical forest and blessed with the beautiful white sand Sugar Beach. Perhaps an expensive stay but definitely worth a tour. 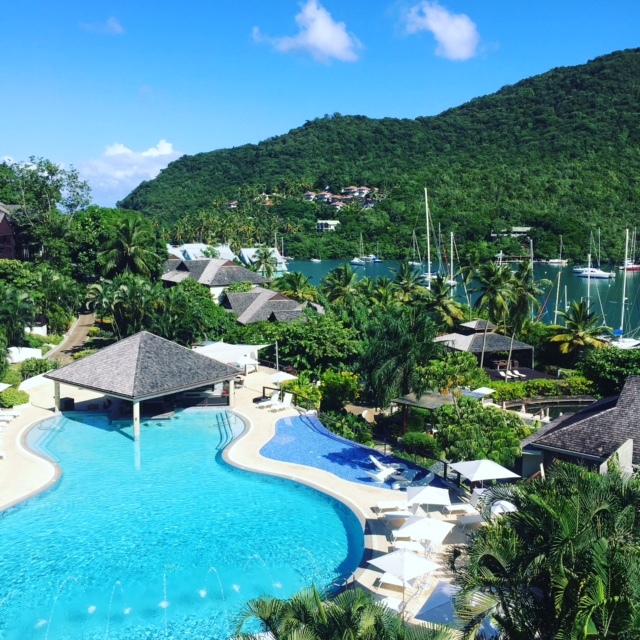 After experiencing a taste of what Saint Lucia has to offer, one thing I can tell you for sure is that this island will be a repeat destination for an active retreat that provides culture, beauty, tranquility with feeling of complete rejuvenation.